I met John Wolfe years ago while studying kettlebell training. What initially struck me about him was his approach to and philosophy about training – I loved how he implemented unconventional training methods into any program as a way to upgrade it. 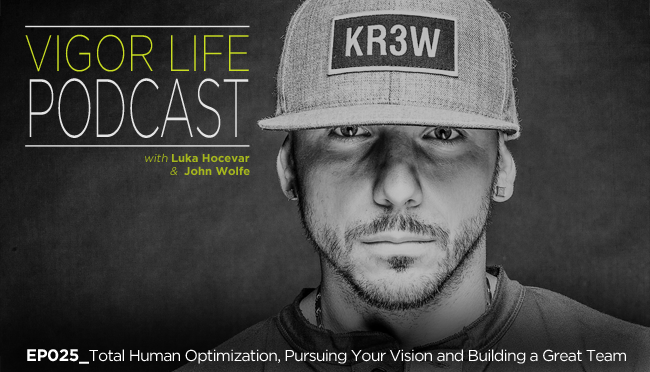 John, who is now the CFO (Chief Fitness Officer) of Onnit, joins me to talk about everything from how to build culture, a community that connects instead of divides, and powerhouse teams that encourage individuals to step into greatness. We of course also get into unconventional training. This entry was posted in Podcasts and tagged Athletic Training, Body Transformatiom, Business, Conditioning, Entrepreneurship, Fitness, Fitness Business, Performance, Personal Development, Podcast, Self Development, Success, Training, VigorLife, Workout. Bookmark the permalink.